Home fires can cause extensive damage to your home and furnishings especially when they strike without warning. Most house fires begin unexpectedly leaving homeowners very little time to save themselves let alone their home and belongings. However, by taking some preventative actions, you can help limit the amount of fire damage should a fire strike your home. The following preventative actions will help keep your home protected from extensive fire damage in Salt Lake, UT. There are many aspects of your home that could contribute to extensive fire damage during a fire. By keeping these areas well maintained, you can help limit the amount of damage. Chimneys: Chimneys are a common problem in homes as far as home fires are concerned because they often contain creosote residue that is flammable. Having your chimney professionally cleaned and cleared of creosote will make it less likely to ignite during a house fire. Circuit Breakers: Make sure to check your circuit breakers at least once a year to see that they are functioning properly and not overloading the circuits. Corroded or malfunctioning circuit breakers should be replaced because they could be a fire hazard. Clothes Dryers: Dryers are one of the main causes of house fires and could significantly add to the damage if a fire sweeps through your home. It is important to clean out the lint trap and dryer vent to lower the risk of a fire. Electrical Cords: Electrical cords are always a potential fire hazard due to shorts or shocks especially if they are damaged in some way. Make sure to regularly check the electrical cords in your house and replace any that show signs of damage. You should also avoid running wires under rugs, near areas with water, or stapling them to the wall. Furnace: Gas furnaces are always a potential fire risk and should be inspected regularly to look for cracks in the equipment. Horizontal heating units are even more of a potential hazard because the flames sometimes burn outside of the units and can come into contact with the surrounding structures. You should also change the furnace filter often. Smoke Detectors: Smoke detectors are a very important tool and could save your life in an emergency situation. Always make sure they are functional and replace the batteries often. Stoves: Unattended stoves are the most common cause of house fires so it is important to never leave a stove unattended and make sure it has been turned off when you are finished. Sometimes a fire started in a nearby home can spread far enough to damage surrounding structures as well. There are some preventative actions you can take to reduce the risk of sustaining fire damage from a nearby home or building. Plant flammable plants away from the house. Keep windows, doors, and skylights closed if a home is on fire near you to prevent smoke and soot from entering your home. While house fires often happen without warning, taking these preventative actions on a regular basis will help limit the amount of fire damage your home will sustain if a fire should occur. 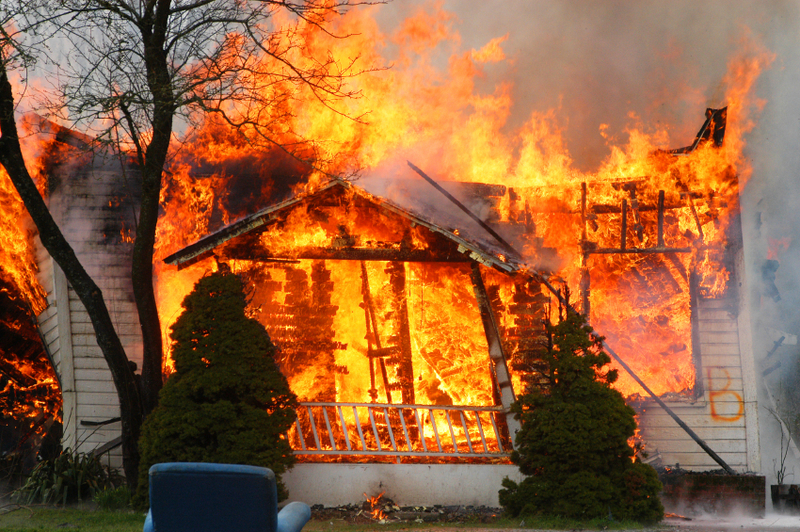 It is impossible to completely prevent any damage from a house fire but it is possible to limit the potential damage. If a fire does strike your home, contact a fire damage restoration professional such as ServiceMaster of Salt Lake UT immediately after the flames are extinguished to help restore your home.